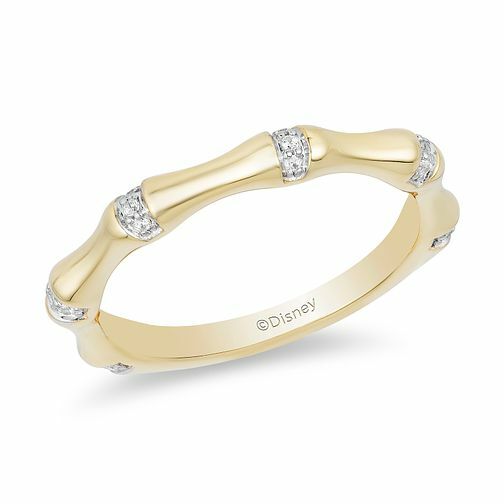 This exquisite diamond ring as part of the Enchanted Disney Fine Jewelry collection is inspired by Mulan. Made fromgorgeous 9ct yellow gold, this ring boasts a unique shaped styling to represent bamboo, beautifully embellished with elegant shimmering set diamonds. A unique and captivating ring set to capture the light, and hearts. Perfect for creating your own magical moment with.